Steve McQueen’s follow-up to 12 Years a Slave is a female-driven heist film based on a beloved British TV series. For most directors, making a genre thriller would put them out of Oscar contention. But the award-winning McQueen isn’t your average director, and in the wake of #MeToo, Widows could still blow things wide open. Who knew Steve McQueen wanted to make a thriller? It seems such a low-brow genre for such a high-brow auteur, artist, and the Oscar-winning director of Twelve Years a Slave. And yet, here it is: Widows — a moody, Mamet-esque heist movie that fully ingests genre, and expresses something slightly different thanks to its female-driven ensemble. Lead by Viola Davis and supported by Michelle Rodriguez, Elizabeth Debicki and Cynthia Erivo, the women in this movie aren’t your classic film noir femmes fatales, though they play out certain mechanics of the stereotype. They face their fears without using a divide and conquer approach that pivots on a blend of seduction and deception. They work together to achieve a common goal. That’s what makes Widows different from most movies that attempt to show us empowered women. Too often, we watch the heroine face-off with her female nemesis: a persistent and subconscious back-stab to the sisterhood. Yet, when powerful women unite, just about anything is possible. McQueen says he wanted to make a movie about women after making a movie about slavery. He said he first went to Hollywood, he was struck at how many talented women weren’t working, so he wanted to make a female-driven film. He also loved the show Widows as a kid, but the very core idea of people achieving something no one believes they’re capable of is where he latched on to the bosom of La Plante’s series. McQueen says he wanted to make a movie about women after making a movie about slavery. He said he first went to Hollywood, he was struck at how many talented women weren’t working, so he wanted to make a female-driven film. It’s also where the viewer gets to nuzzle into a rather complex and sometimes puzzling story that centres on a gang of criminals who pull off a heist, only to get blown apart in a police showdown. When the underwriters of the operation look to recoup their lost investment and the proceeds of the score, they turn to the wives and partners of the dead men. Surely, the widows must know something — or at least have a stash of big cash to buy their safety. Davis plays Veronica Rawlings, wife to the lead gangster, Harry (Liam Neeson). Harry and Veronica lead a nice lifestyle, complete with a fancy high-rise condo, so it’s only natural Veronica is the first person the thugs hit up. The intimidation scene is harrowing, not just because it’s clear Veronica’s life is in jeopardy, but the sight of her small, white, fluffy dog in the arms of an intruder near a high balcony is enough to make your knees turn to mush. McQueen knows how to play emotional terror, and Davis knows how to show strength and vulnerability at the same time. For brief moments, we’re right there on the edge with all the women left holding the bag for their dead hubbies. Their only hope of survival is to pull off the next job their partners had planned, and reap millions in a high-risk affair that involves Chicago’s political dynasty and some unsavoury political financing. Here’s looking at you, Widows: Colin Farrell plays a corrupt politician and heir to a Chicago dynasty in Steve McQueen’s Widows. With Colin Farrell and Robert Duvall playing father and son political operators who’ve held down the 18th ward for generations, McQueen and screenwriter Gillian Flynn (Gone Girl) deliver a formidable pair of foils. The only problem is, the intricacies of the game are hard to untangle. 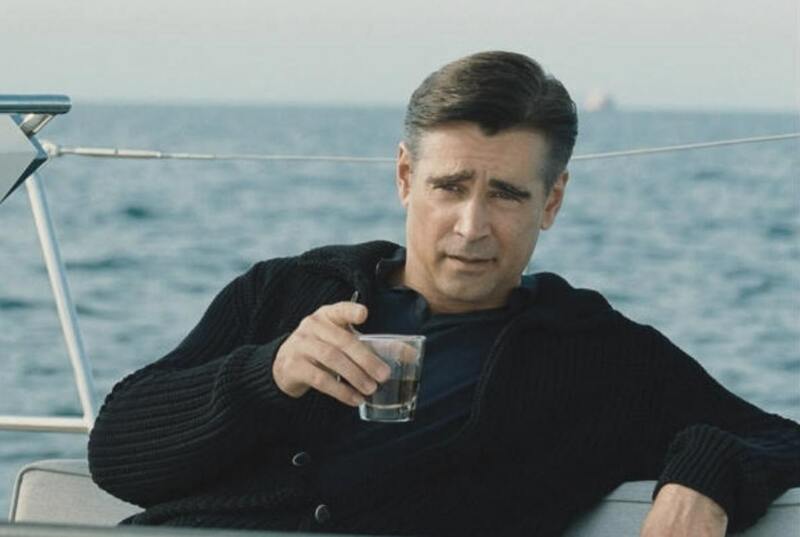 There’s a point where the notion of systemic corruption just gets tiresome, pushing the viewer into a state of fatigue instead of resistance despite the crackling chemistry between Robert Duvall and Colin Farrell. Flynn’s screenplay gouges into the tender parts of Chicago’s storied past, from its history of racial tension and limited opportunity, to the cost of modern gentrification and access to the economic ladder. Where things can often be black and white, Flynn and McQueen go for something far more grey — because not even the heroes of this movie, the titular widows, aren’t anywhere near saintly. The moral blur blunts the tension, but it also makes the movie easier to watch as we become passive spectators, waiting for the next twist. Throughout the experience, there are two things that pop into mind: First, this is the movie that Ocean’s Eight was desperate to be. Second, we don’t look at property crime the same way as other illegal acts. When the women decide to steal millions in cash, not only are we rooting for them, we don’t really care about the victims at all because they’re rotten scoundrels. Only when someone gets hurt do we shake off the stupor and realize the whole plot is really just a pitch at payback, sweetened by the empowerment of an undervalued gender. There is a racial through line to the movie — in the casting of Davis and Neeson as a married couple, as well as the backstory of the 18th ward and its diverse constituents lead by affluent white men. McQueen’s own voice punches through every once in a while. You can hear it in a Baptist minister’s speech on our sliding standards. When did we begin to embrace the mediocre? When did the bar of excellence slip, allowing the average masses to storm the gates and feast on fame? The observation resonates, and it also explains the movie’s gymnastic routine to avoid cliche. Somersaulting over crowd-pleasing heist bits to explore character is a dicey move, but McQueen and Flynn manage to accommodate our desire for a good yarn as well as manage genre expectations, paving the way for a potential franchise and blowing apart the Hollywood vault of gender values. Main image: Michelle Rodriguez, Viola Davis and Elizabeth Debicki get into the steamy details of their plan to finish off what their dead, and deadbeat, husbands started in Steve McQueen’s Widows. Photo courtesy of Twentieth Century Fox. No Replies to "Widows buries thriller formula and finds female power"